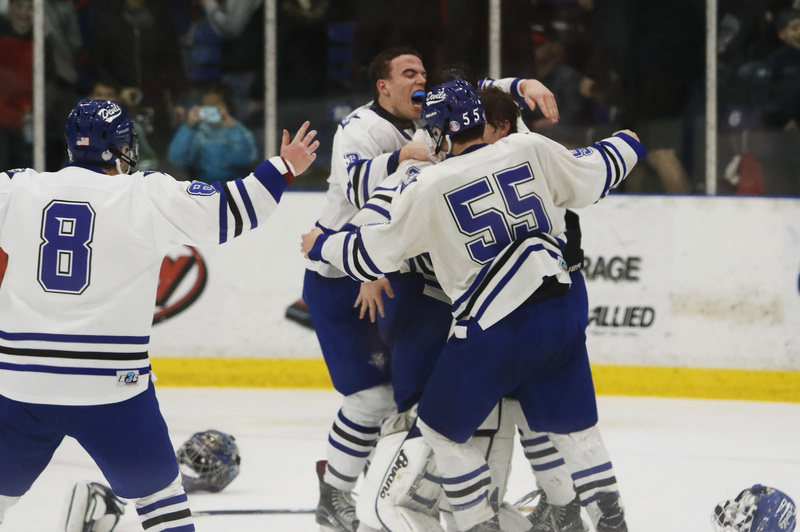 Lewiston's Dustin Larochelle skates over to celebrate with Ryan Bossie and teammates after the Blue Devils beat Biddeford 2-1 in the Class A hockey state championship at Androscoggin Bank Colisee. 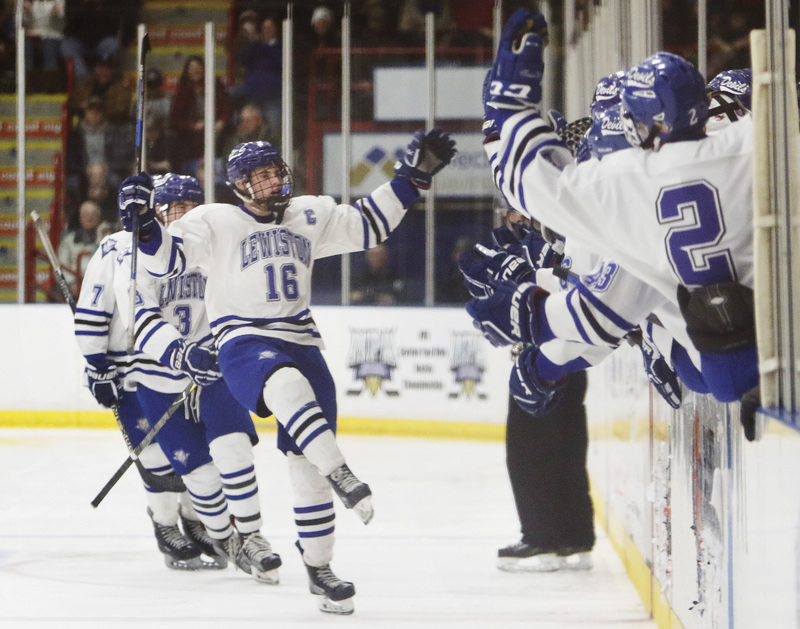 Lewiston's Jack LeBlond celebrates with the bench after scoring the first goal of the game early in the second period of the Blue Devils' 2-1 in the Class A state final Saturday in Lewiston. 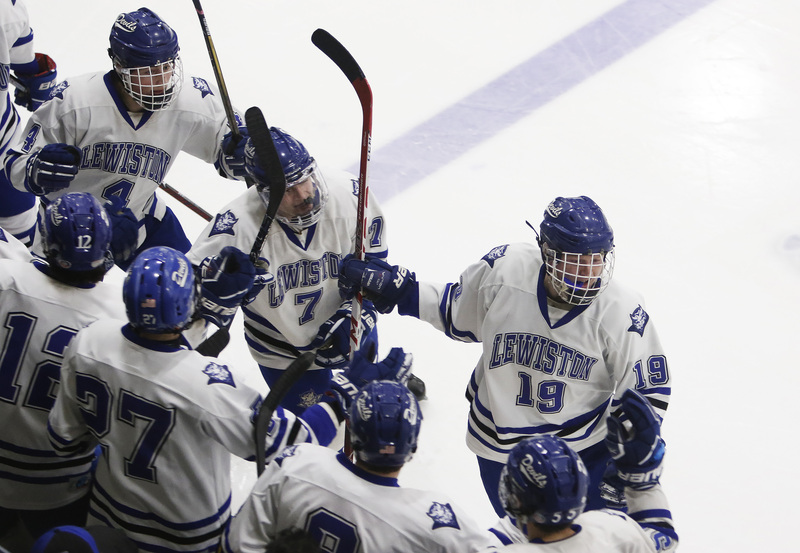 Lewiston's Alex Robert celebrates his goal in the third period against. 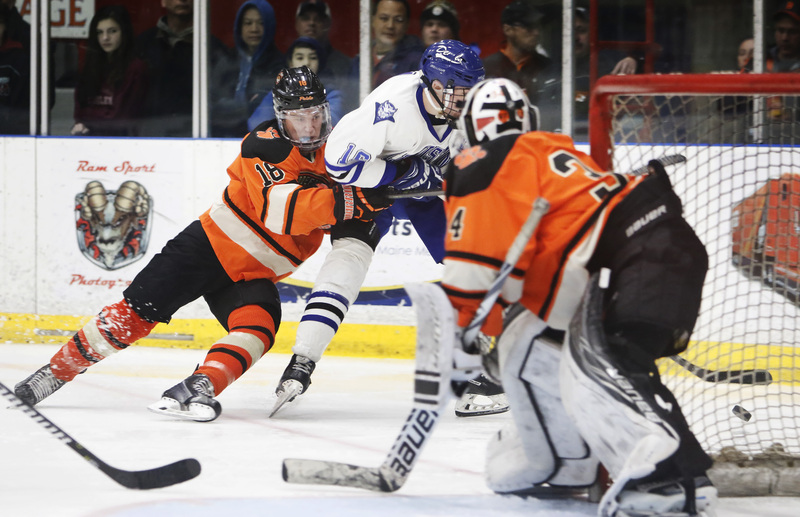 Biddeford in the Class A hockey state championship at Androscoggin Bank Colisee. Lewiston won 2-1. 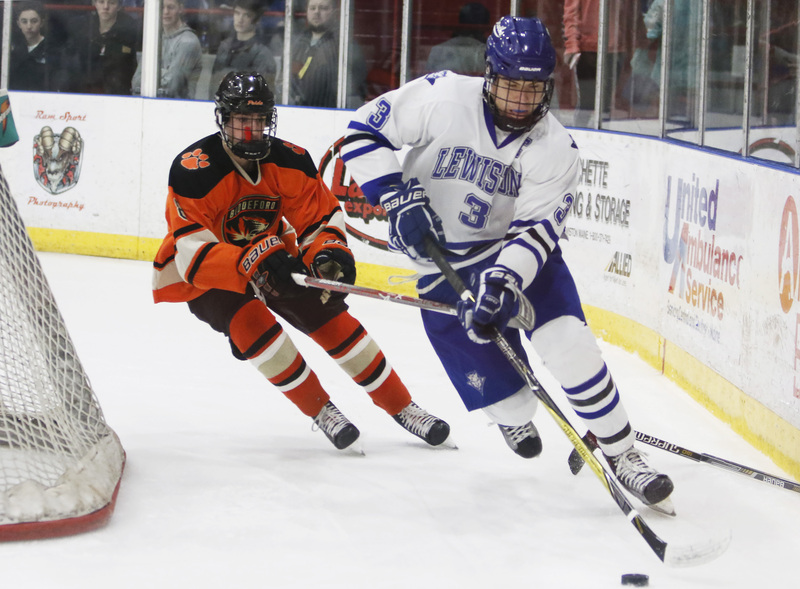 Lewiston's Ryan Bossie brings the puck around the net as Biddeford's Nick McSorley chases him during the Class A hockey state championship game Saturday in Lewiston. The Blue Devils won 2-1. 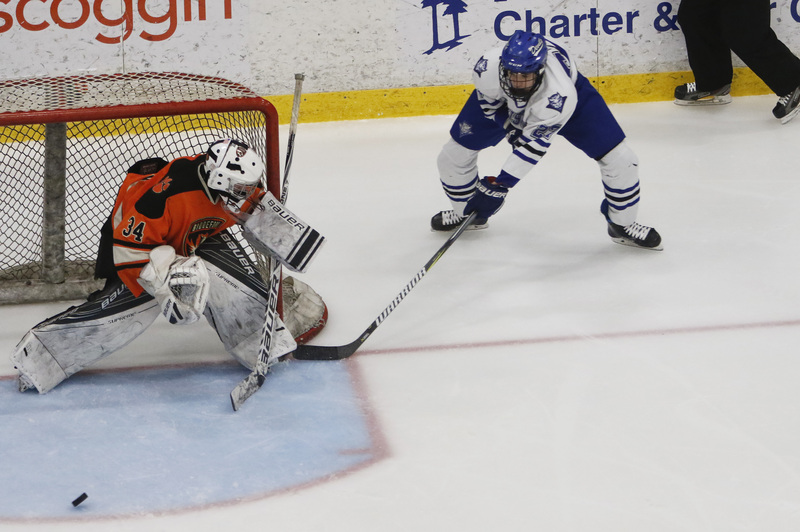 Lewiston's Ridge Field scoops a shot around Biddeford goalie Owen Sullivan in second period of the Class A hockey state championship Saturday at Androscoggin Bank Colisee. The Blue Devils won 2-1. 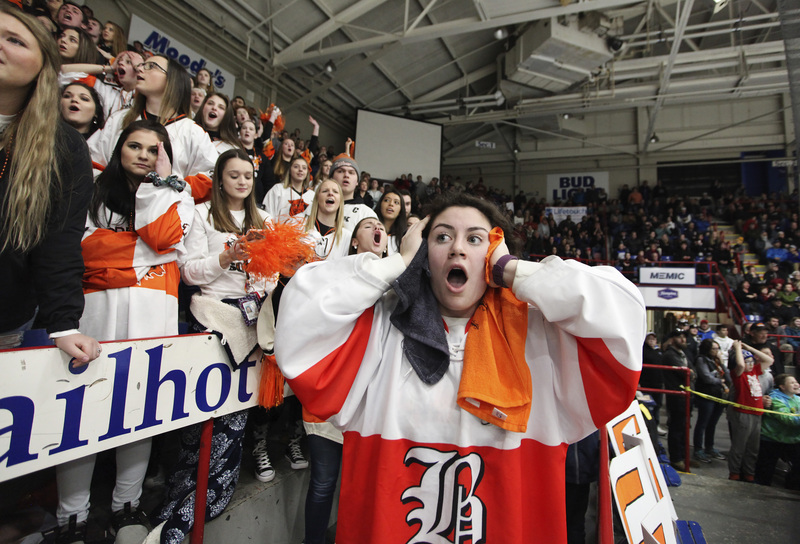 Biddeford fan Megan Mourmouras reacts with others after referees reviewed and called a Biddeford non-goal in the third period of the Class A state championship game Saturday in Lewiston. 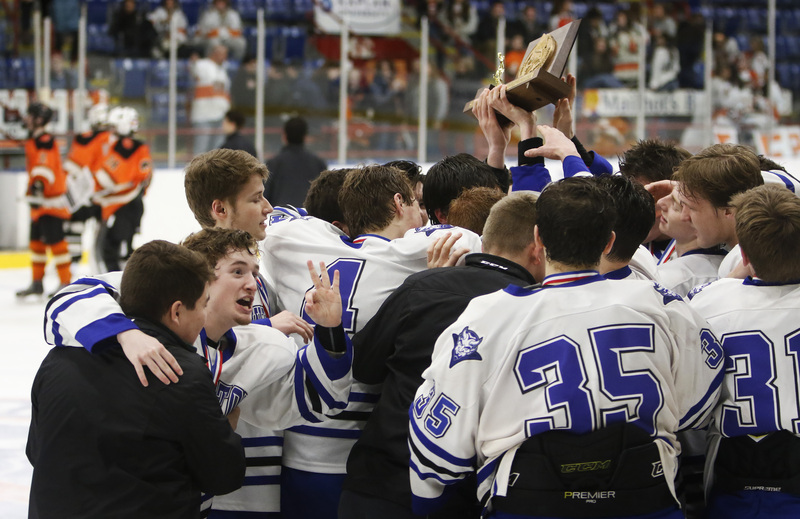 Lewiston Owen Cox holds up three fingers signifying the Blue Devils third state title after defeating Biddeford 2-1 in the Class A hockey state championship at Androscoggin Bank Colisee. 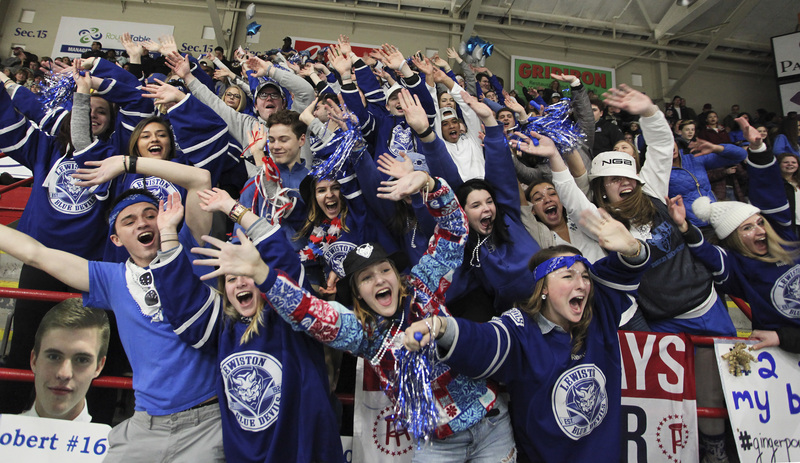 Lewiston fans wave with excitement as time runs out in the third period of the Class A hockey state championship at Androscoggin Bank Colisee.